“Do business or get out,” South Sudan’s petroleum minister, Ezekiel Lol Gatkuoth, said in an interview with The Associated Press on Wednesday. 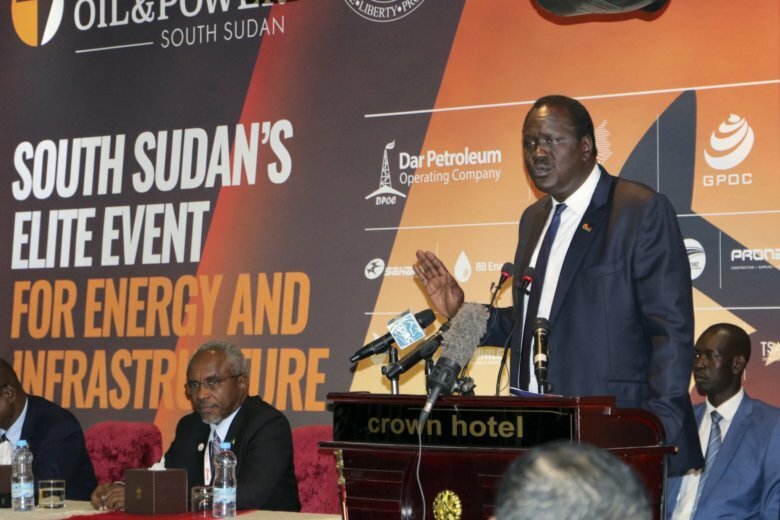 More than 400 international and local companies are attending this week’s Africa Oil & Power Conference in the capital, Juba, up from the 300 that attended the initial conference last year. Earlier this year Russian oil company Zarubezhneft signed a memorandum of understanding with South Sudan’s oil ministry to explore the 10 oil blocks that remain open. The government is also speaking with Russia’s third largest oil producer, Gazprom Neft, and Rosneft. And early next year local oil marketing company Trinity Energy will begin building East Africa’s only oil refinery, a $350 million project that will take about 18 months to complete. It will be able to produce 25,000 barrels per day. Currently South Sudan exports its crude oil, only to buy it back. “South Sudan is a fantastic blank canvas … because we see that the demand is here,” said Pearl Uzokwe, director of governance and sustainability at the Sahara Group, a Nigerian energy and infrastructure company that recently signed a memorandum of understanding with the government. However, she said, it’s important for South Sudan’s government to create an enabling environment. One analyst said most of his clients, especially Western ones, are taking a “wait and see” approach even as the mood seems positive. “They’re not willing to commit to anything right now,” Shawn Robert Duthie, senior analyst for Africa Risk Consulting, told the AP. Many are worried about their reputational risk, he said. South Sudan’s oil sector has faced scrutiny for allegedly using oil revenues to fuel the civil war.